Set on the broad sweep of Kamala Bay, on Phuket's west coast, Swissotel Resort Phuket is two minutes' walk to the beach, within driving distance of most of the island's attractions, but away from the sin bins of Patong. Ideal for families, it's the great beach holiday, Thai style. The Swissotel Resort Phuket has 180 suites in two wings either side of the lagoon pool, including 90 two and three-bedroom suites. It recently underwent a soft refurbishment of its uncomplicated, Asian-style rooms. Families take note: 20 self-contained suites have full kitchens that will suit fussy eaters and travelling tots. There are the kids-club standards of face painting and craft activities, and, this being Thailand, there's also batik sarong painting, Rasta hair braiding and poolside kid manicures. The hotel is surrounded by a small cluster of shops including beauticians, a money exchange, laundrette and a handful of restaurants, all within a minute's walk. 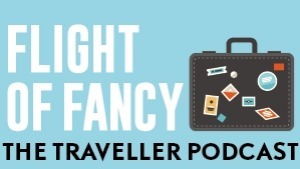 It means you're not locked into hotel meals but don't have to travel far for dinner, and the little supermarket stocks all the souvenir essentials. With dark timber floorboards, dark-wood furniture and a lack of clutter, there's not much for kids to trash in these simple rooms. My one-bedroom suite doesn't have a bath, but there is a generous lounge area. While the second and third floor rooms have deep balconies, the ground-floor rooms have only a little terrace with chairs and tables, open to full view. However, they're in hot demand for their proximity to the pool. In the room, expect the regular, hotel-branded toiletries, mini-fridge and tea and coffee facilities. Croissants are hot property here – hot and fresh from the hotel's ovens every morning, they're the first to go on the extensive breakfast buffet, which includes Thai, Japanese and Western-style breakfasts. The one restaurant, Cafe, serves three meals a day, while the new barbecue station by the pool provides a lazy lunch in between dips. The Grab & Go shop includes pre-cooked meals you can reheat and eat together on your suite's balcony, without the formality of a restaurant, and don't go past the swim-up bar, serving the local sugar cane spirit, Cha Long. You can hire long-tail boats on Kamala Beach, but it's better value to book through the hotel for a lazy half-day's boating and snorkelling for $82: pack a hamper for a beach picnic lunch. Got teenagers with energy to spare? Burn off teen angst with a Muay Thai session in the gym, take a Thai cooking class or haul a sturdy mountain bike out onto the safe, off-road footpath down to the main section of Kamala Bay. The hotel even has a tow-along for little ones. The night markets open early in the evening, so head out, en famille, for a fun night of snacking on skewers. Otherwise, tap into the hotel's babysitting service and cut loose. 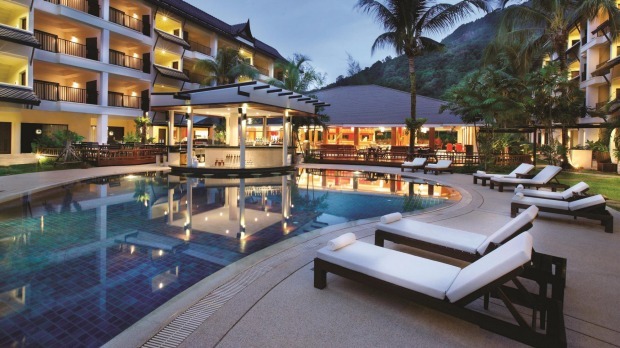 A solid four-star hotel with friendly, efficient service, aimed squarely at families, the Swissotel's Resort Phuket's star attraction is the nearby broad sweep of Kamala Beach. The hotel is 30 minutes' drive from Phuket International Airport. Jetstar flies direct to Phuket from Melbourne four times a week and from Sydney three times a week, from $409 one-way, cutting out the need for a change in Bangkok. See jetstar.com. Australians don't need a visa to visit Thailand for up to 30 days. HIGHLIGHT Enjoy budget beach massages and sunset drinks from the little beach bars on Kamala Beach, just a few minutes' walk from the hotel. LOWLIGHT Taxis to the restaurants and bars at Kalim Beach and Patong can get pricey, especially late at night and during Phuket's messy peak hour. Belinda Jackson was a guest of Swissotel Resort Phuket and Jetstar.